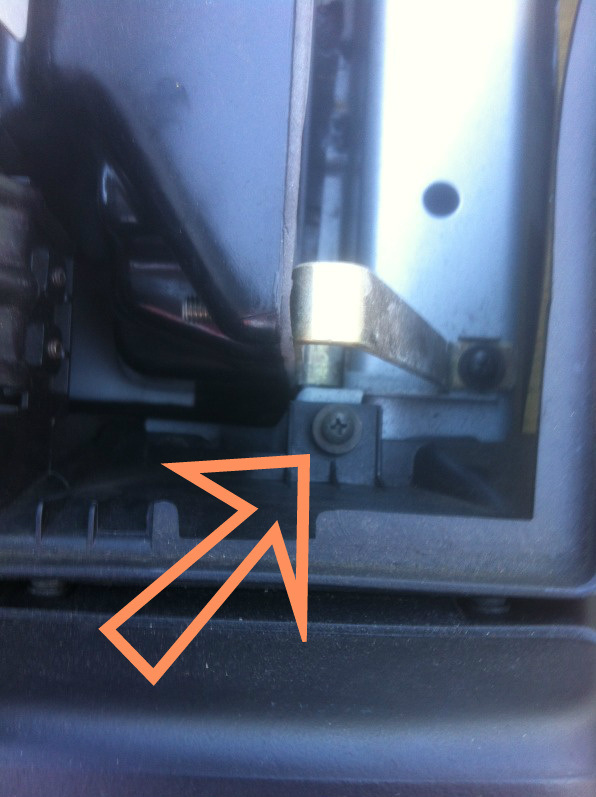 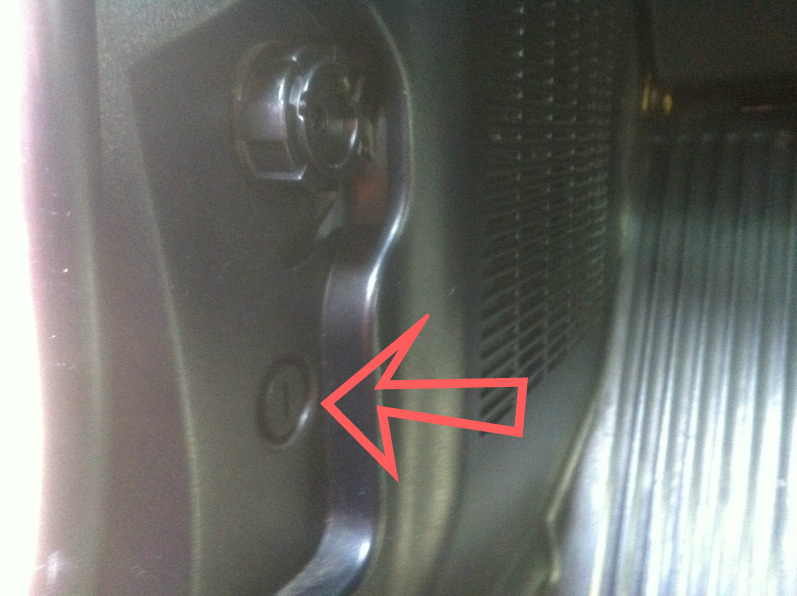 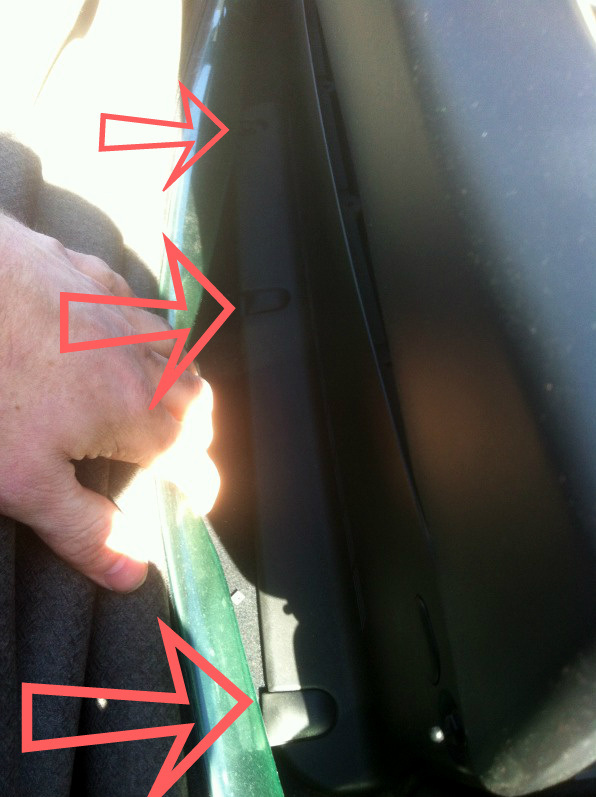 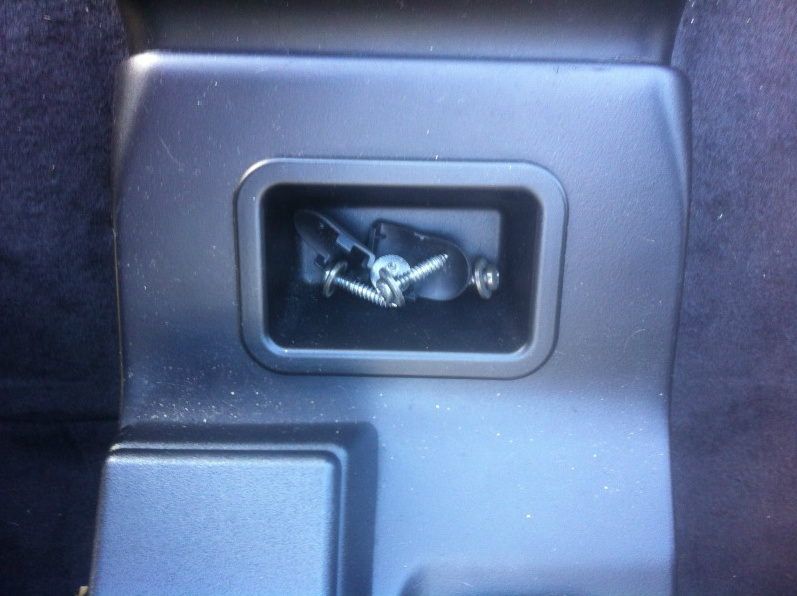 Use a Philips Head screw driver to remove the Screw holding in the hood latch release. 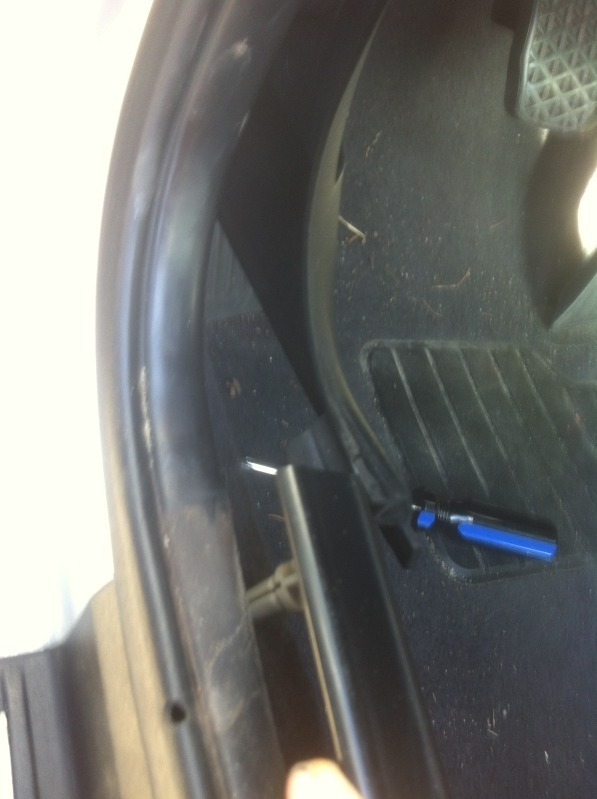 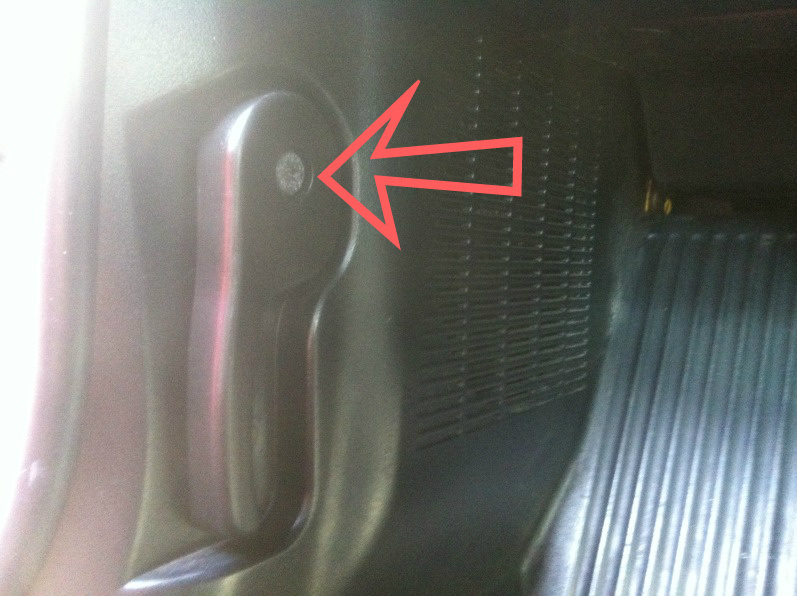 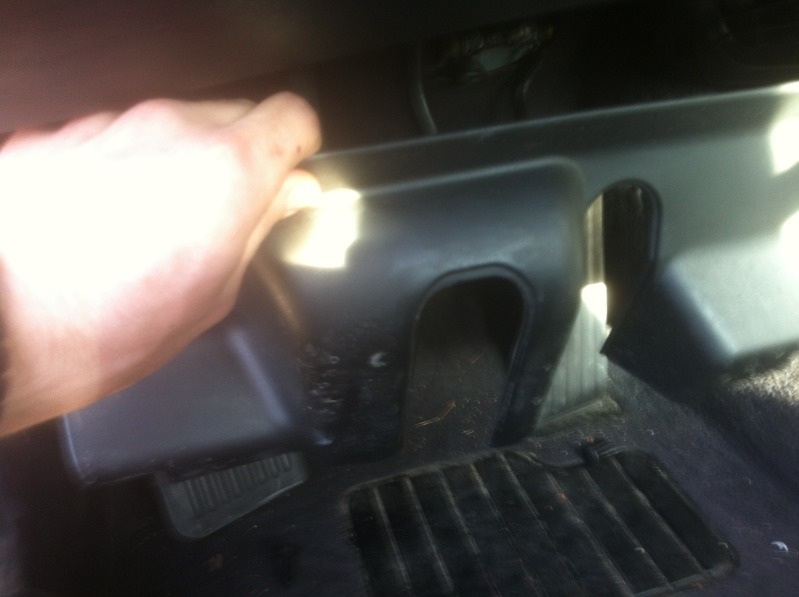 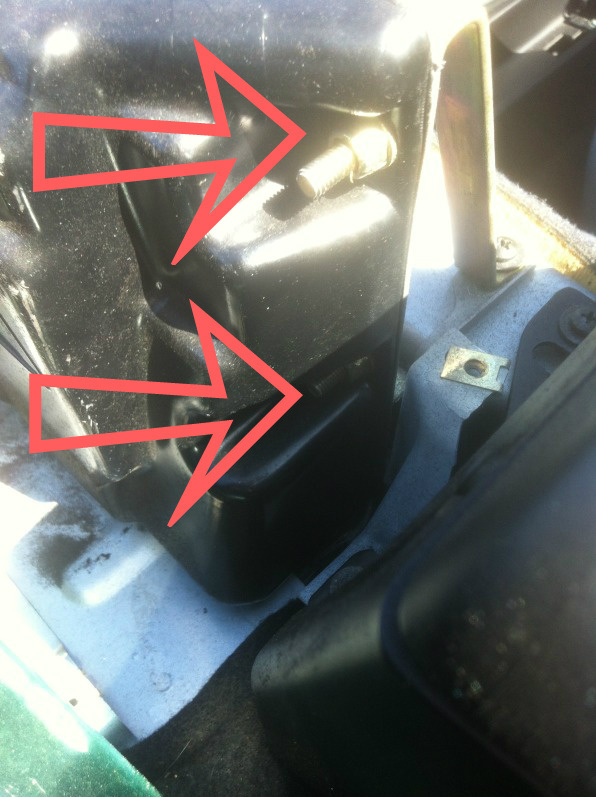 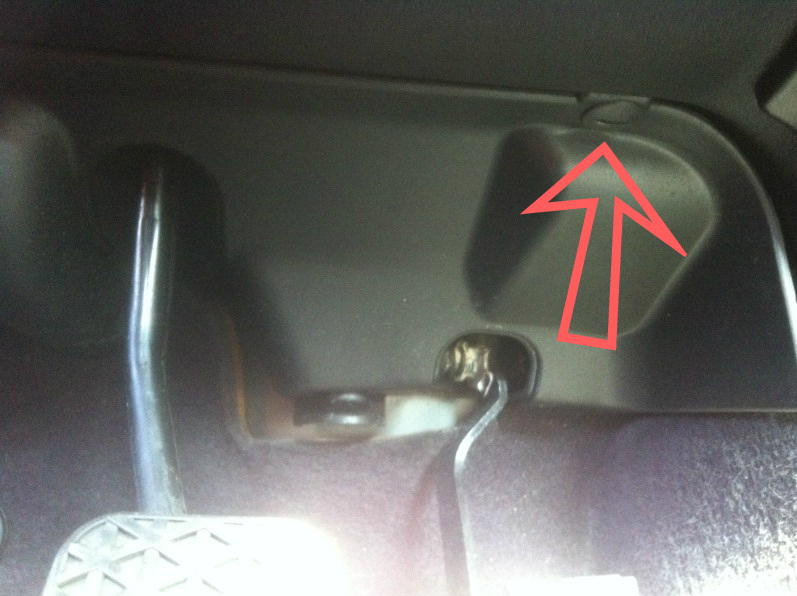 Use a Flat Headed screw driver to turn the plastic screw to release the kick panel. 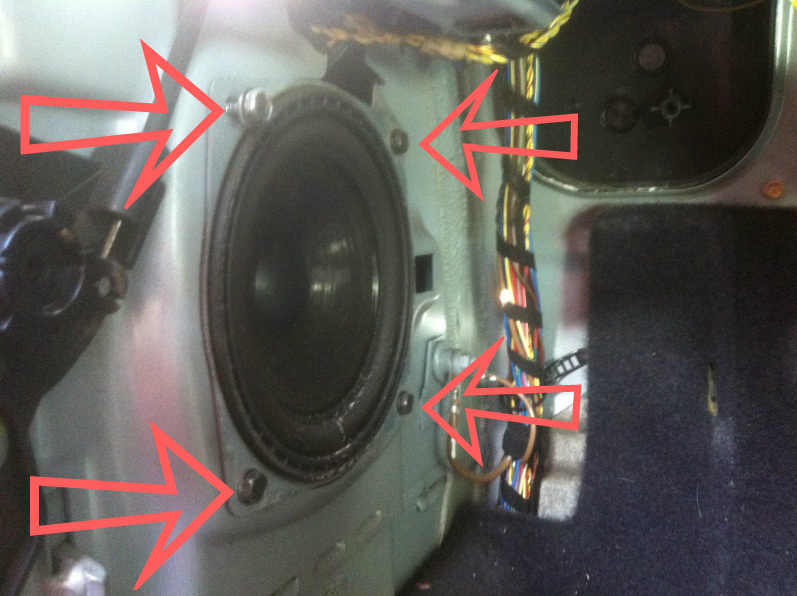 With the Kick Panel removed you can remove the 4 Screws using an 8mm Nut Driver to remove the Speaker. 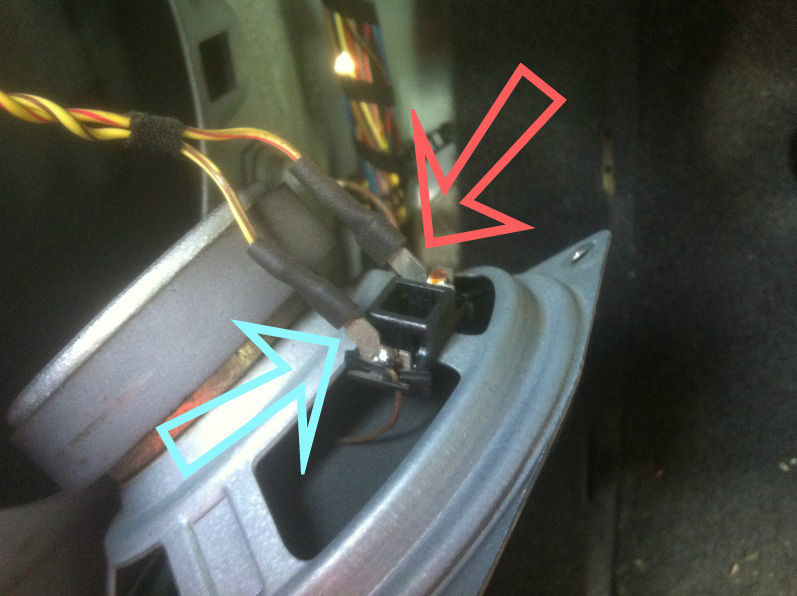 Pull on the Positive and Negative wire to remove them. 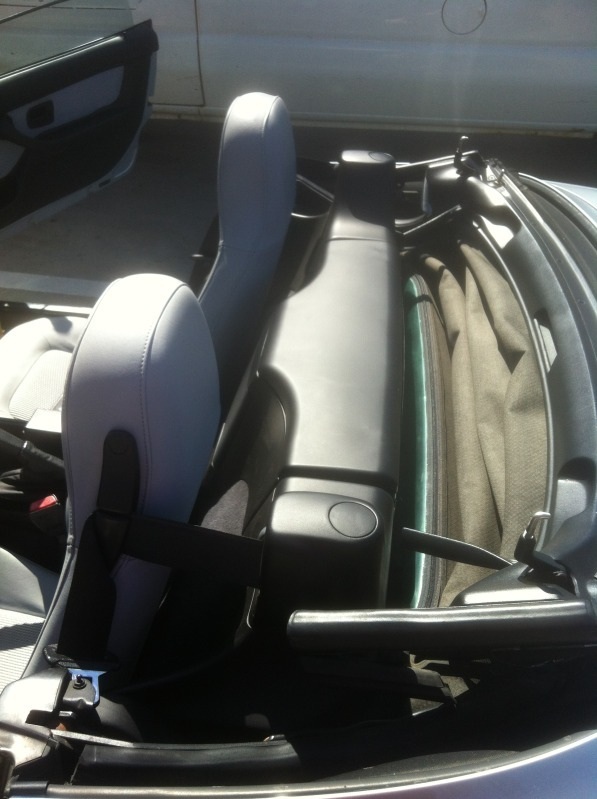 Lower Soft Top/ Remove Hard Top. 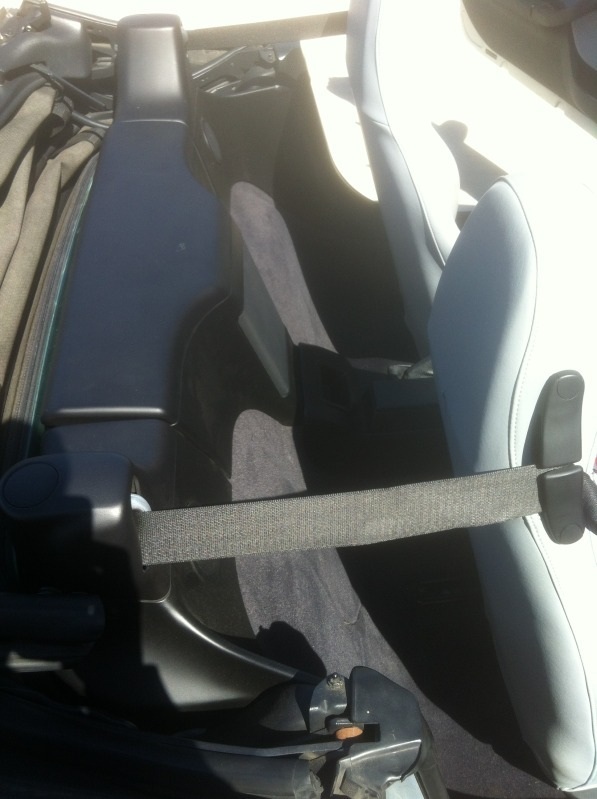 Move Seats all the way foreword. 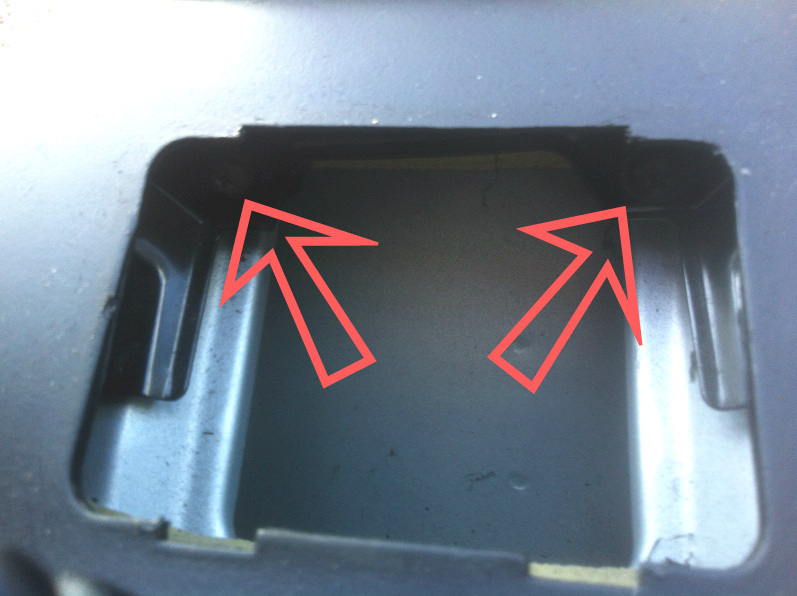 Open Sub lid then remove the 2 screws inside the box, one on each side. 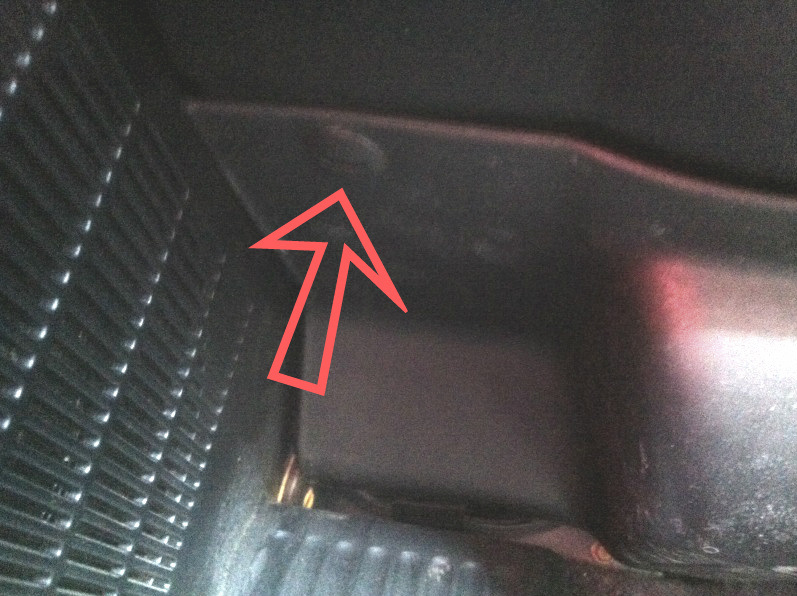 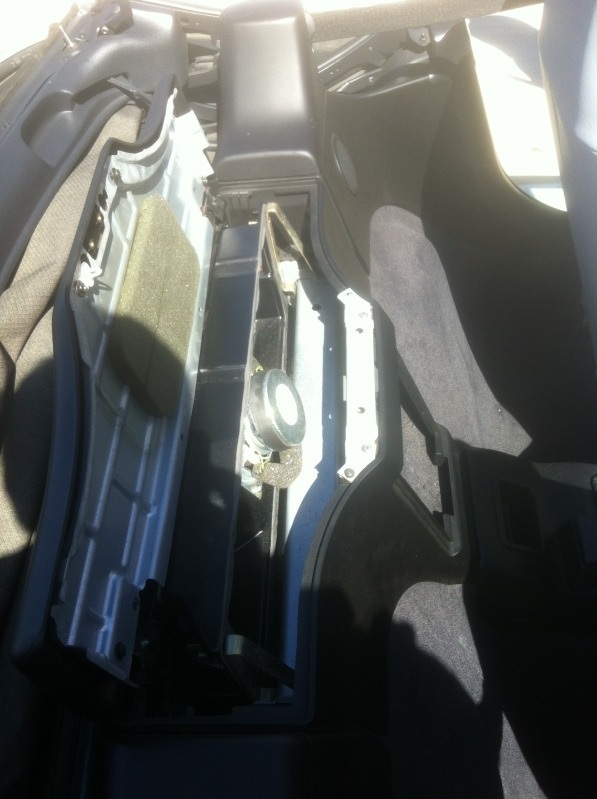 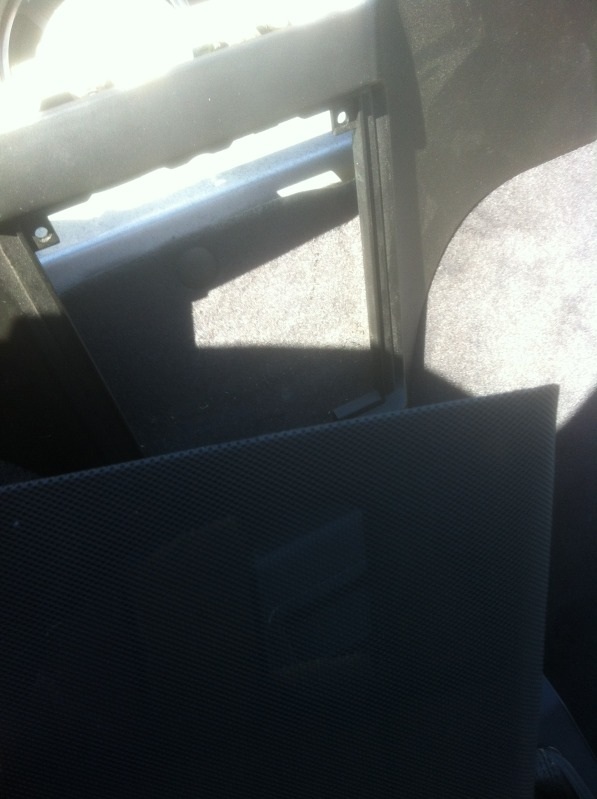 Remove Center console tray [under sub cover] then remove the two screws at the top. 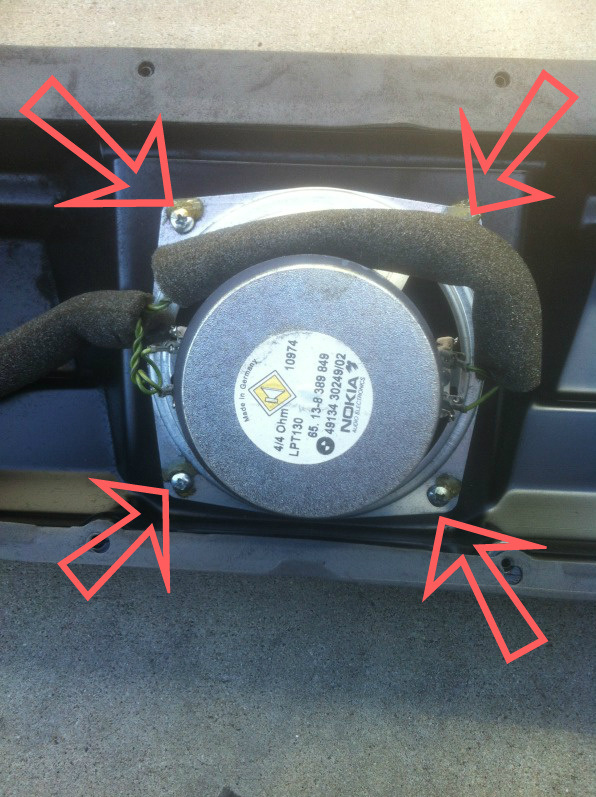 Pop off the 3 dust covers then remove the screws under them. 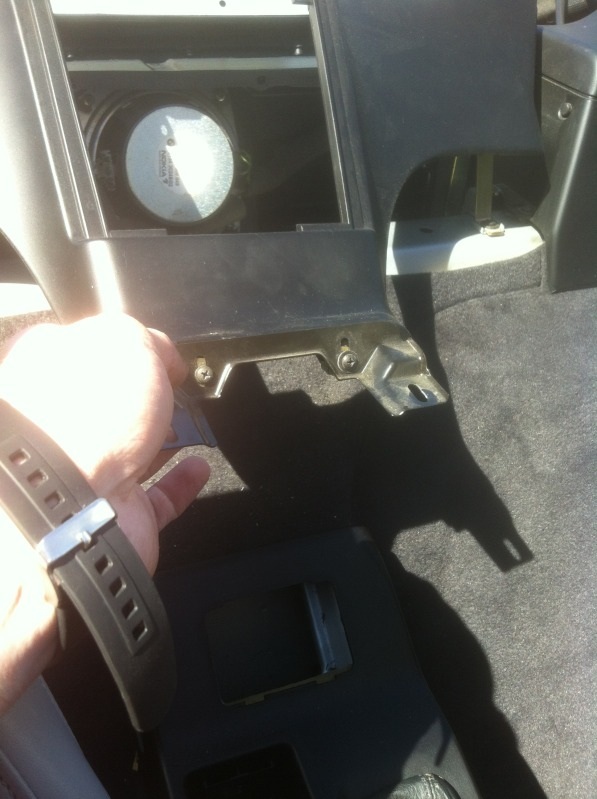 [may need to pull your soft top out of the way] then pull up and remove the box enclosure. 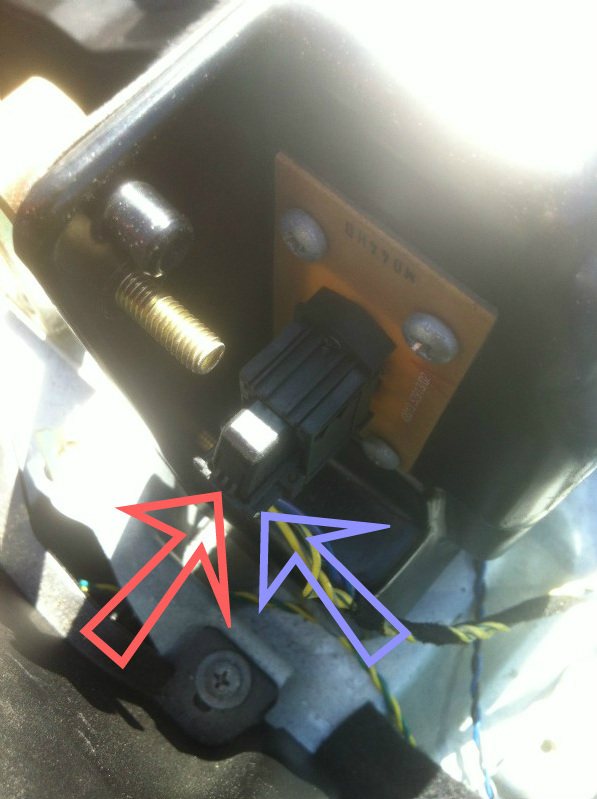 Remove the sub box connector by pushing on the button and flipping the lever up. 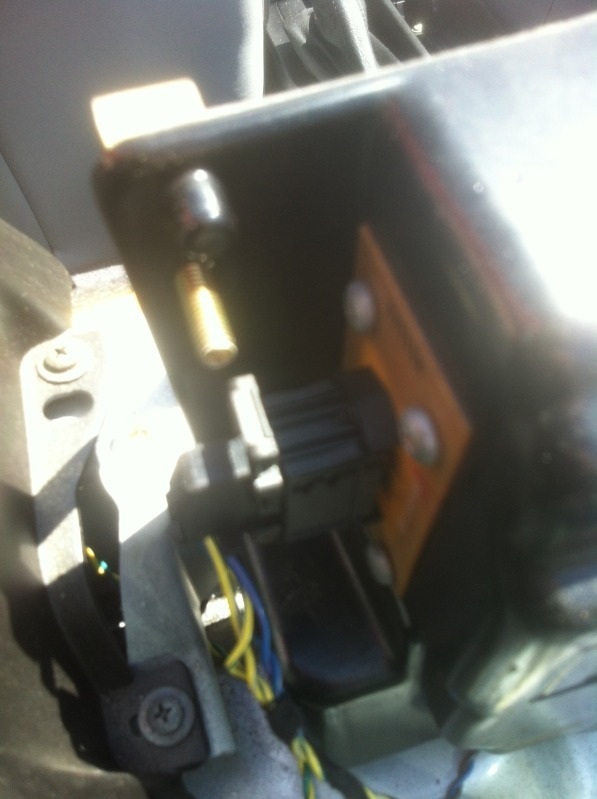 [Not Pictured] remove the screws around the front of the sub box using a T20 Torx driver them remove the front cover of the sub box.